9781936814756 | Moonstone, April 28, 2015, cover price $23.95 | About this edition: Based on a real historical event during the Roosevelt administration! 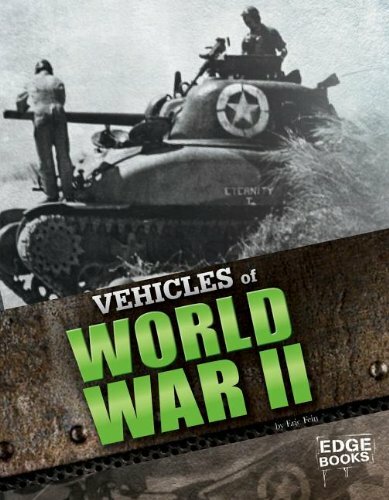 9781429699150 | Edge Books, July 1, 2013, cover price $27.32 | About this edition: More kinds of military machines were used in World War II than any other war in history. 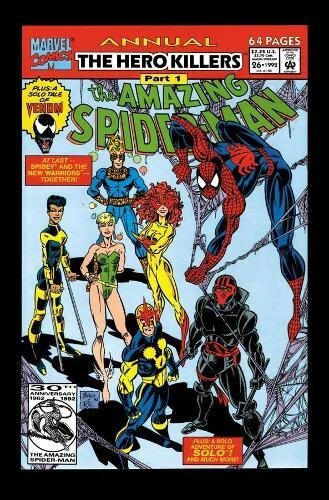 9780785159674 | Marvel Enterprises, March 28, 2012, cover price $24.99 | About this edition: Spider-Man and the new Warriors delve into the mystery surrounding the disappearances of several super heroes- but their investigating leads them to more than they can handle when they witness the resurrection of the supremely powerful Sphinx! 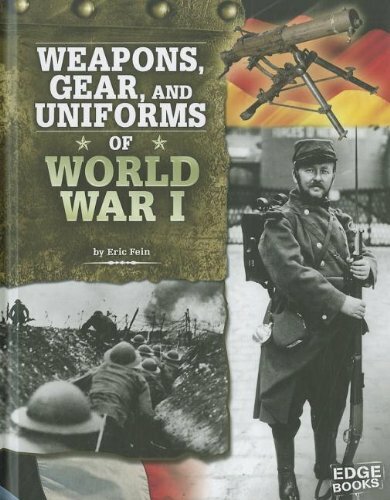 9781429676496 | Edge Books, January 1, 2012, cover price $27.32 | About this edition: World War I was one of the messiest and bloodiest wars ever seen. Product Description: Tools of warfare began to evolve during the U.S. Civil War. Rifles were more accurate. Cannons were more powerful. And the first submarines were tested in battle. 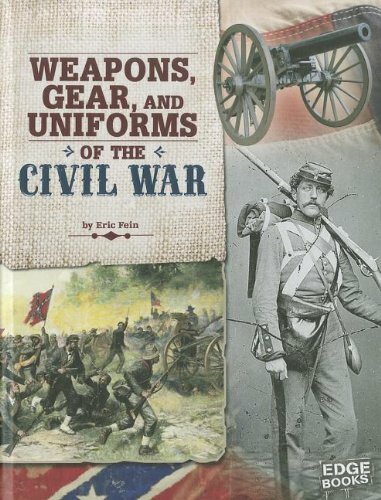 Read all about the amazing weapons, special gear, and unique uniforms used by the Union and the Confederacy. 9781429676489 | Edge Books, January 1, 2012, cover price $27.32 | About this edition: Tools of warfare began to evolve during the U. 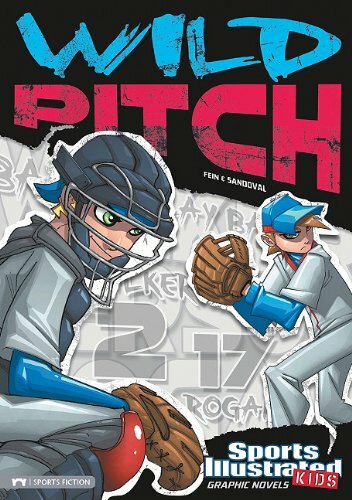 Product Description: Full-color, full-action, full-throttle sports stories. 9781434232625 | Stone Arch Books, August 1, 2011, cover price $1063.44 | About this edition: Full-color, full-action, full-throttle sports stories. Product Description: Batman, The Dark Knight, prowls the shadowy streets of Gotham City with his partner Robin, the boy wonder, putting fear into the hearts of bad guys. 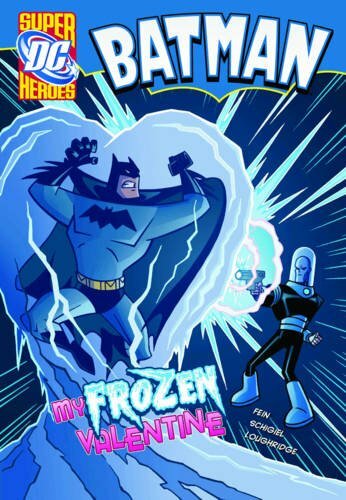 This book features stories with original art by DC illustrators. 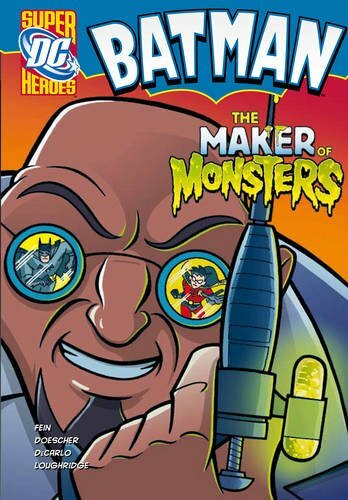 9781406225389, titled "Maker of Monsters" | Gardners Books, March 2, 2011, cover price $11.85 | About this edition: Batman, The Dark Knight, prowls the shadowy streets of Gotham City with his partner Robin, the boy wonder, putting fear into the hearts of bad guys. 9781434227621 | Stone Arch Books, August 1, 2010, cover price $4.95 | About this edition: It's fall in GOTHAM CITY. 9781434219848 | Stone Arch Books, August 1, 2010, cover price $25.99 | About this edition: It's fall in GOTHAM CITY. 9781434222213 | Stone Arch Books, January 1, 2011, cover price $25.99 | About this edition: In last year's state championship game, Ryan Rogan beaned Kyle Walker with a red-hot fastball. 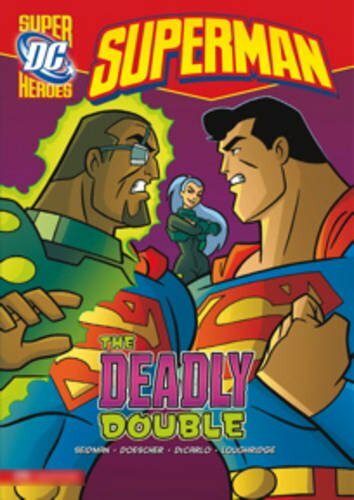 Product Description: Superman, the Man of Steel, defeats aliens and super-villains, and rescues Lois Lane and Jimmy Olsen. 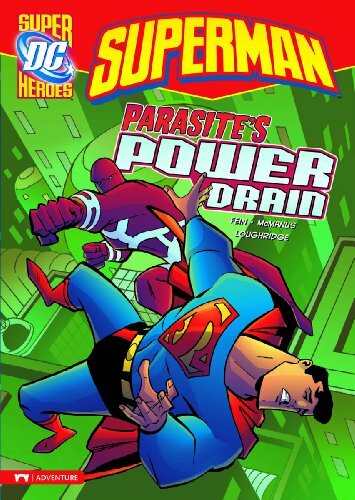 9781406218091 | Gardners Books, August 9, 2010, cover price $44.95 | About this edition: Superman, the Man of Steel, defeats aliens and super-villains, and rescues Lois Lane and Jimmy Olsen. 9781434227775 | Stone Arch Books, August 1, 2010, cover price $7.15 | About this edition: The story of an evil Persian king, who marries a new wife each day and then kills her the next morning. 9781434221346 | Stone Arch Books, August 1, 2010, cover price $27.32 | About this edition: The story of an evil Persian king, who marries a new wife each day and then kills her the next morning. 9781434227676 | Stone Arch Books, August 1, 2010, cover price $4.95 | About this edition: Barbara Gordon, the secret super hero BATGIRL, has been invited to the biggest Halloween party of year. 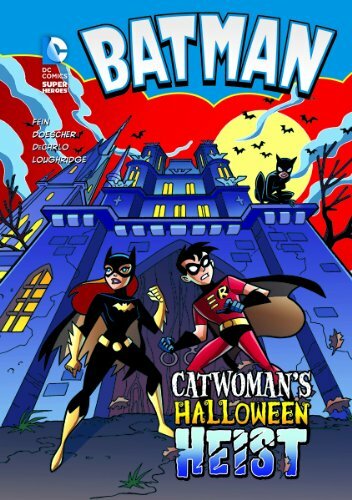 9781434221322 | Stone Arch Books, August 1, 2010, cover price $25.99 | About this edition: Barbara Gordon, the secret super hero BATGIRL, has been invited to the biggest Halloween party of year. 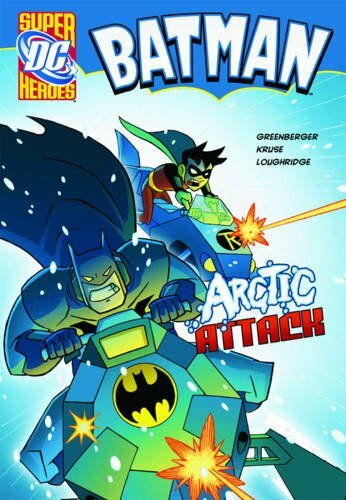 9781406215670 | Gardners Books, March 15, 2010, cover price $36.65 | About this edition: Batman, The Dark Knight, prowls the shadowy streets of Gotham City with his partner Robin, The boy Wonder, putting fear into the hearts of bad guys. 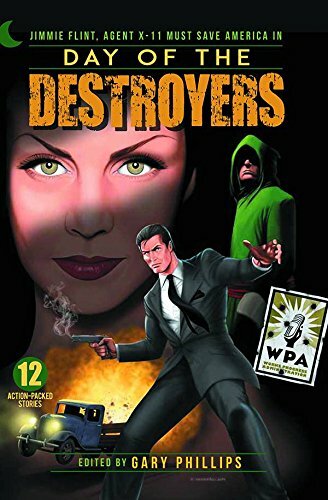 9781406215656 | Gardners Books, March 15, 2010, cover price $6.65 | About this edition: Batman, The Dark Knight, prowls the shadowy streets of Gotham City with his partner Robin, The boy Wonder, putting fear into the hearts of bad guys. 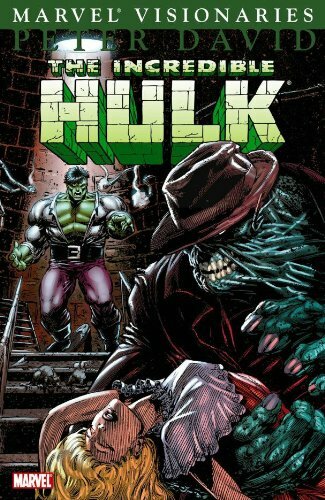 9780785144571 | Marvel Enterprises, February 10, 2010, cover price $29.99 | About this edition: Incredible Hulk Visionaries: Peter David, Vol. 9781434222619 | Stone Arch Books, January 15, 2010, cover price $4.95 | About this edition: As the sun sets in METROPOLIS, the electricity suddenly goes out, and crime wave erupts throughout the darkened city. 9781434218827 | Stone Arch Books, January 1, 2010, cover price $25.99 | About this edition: As the sun sets in METROPOLIS, the electricity suddenly goes out, and crime wave erupts throughout the darkened city. 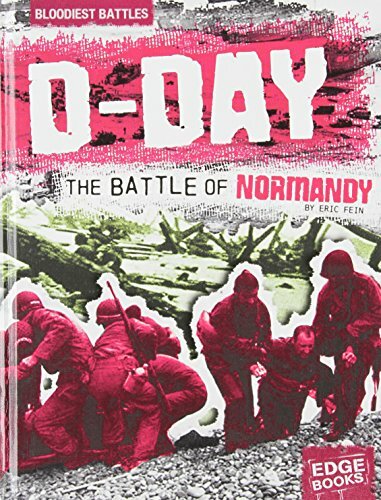 Product Description: D-Day is a Capstone Press publication. 9781429622998 | Edge Books, April 1, 2009, cover price $27.32 | About this edition: D-Day is a Capstone Press publication. Product Description: Discover the stories behind some of historys deadliest battles. Each book presents the basics of each event, including the forces engaged on each side, the weapons they used, and the aftermath of these epic clashes. 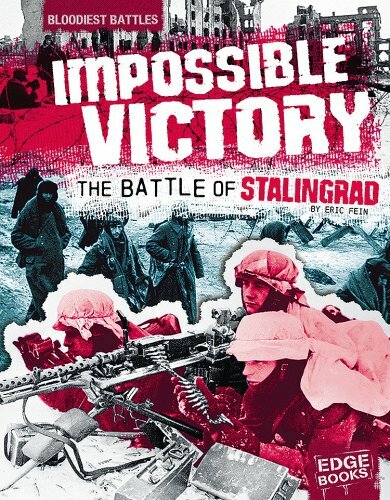 9781429619370, titled "Impossible Victory: The Battle of Stalingrad" | Edge Books, August 1, 2008, cover price $27.32 | About this edition: Discover the stories behind some of historys deadliest battles. 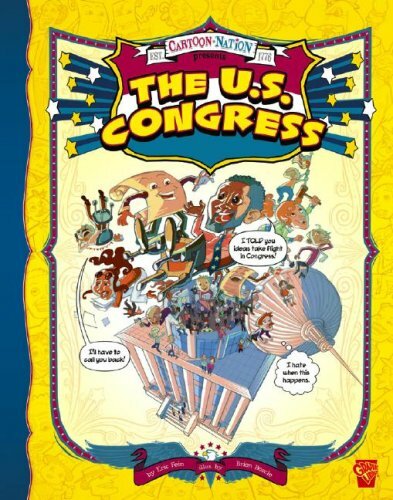 Product Description: In cartoon format, explains the history, role, and responsibilities of Congress in United States government. 9781429617833 | Graphic Library, January 1, 2008, cover price $7.95 | About this edition: In cartoon format, explains the history, role, and responsibilities of Congress in United States government. 9781429613354 | Graphic Library, January 1, 2008, cover price $29.99 | About this edition: In cartoon format, explains the history, role, and responsibilities of Congress in United States government. Product Description: HC, in cello, New, Written by Eric Fein.Published in August of 2006, Hardcover, 50 pages, 7 3/4-in. 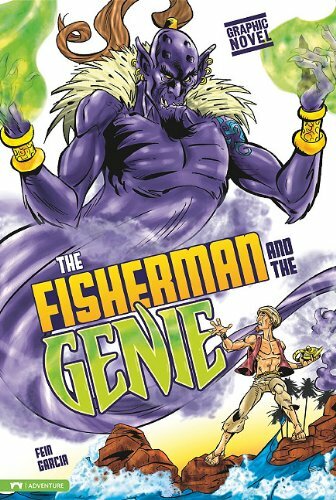 x 9 1/4-in., text with full color illustrations and photos. Cover price $21.95. 9781404207646 | Rosen Pub Group, August 31, 2006, cover price $29.25 | About this edition: HC, in cello, New, Written by Eric Fein. 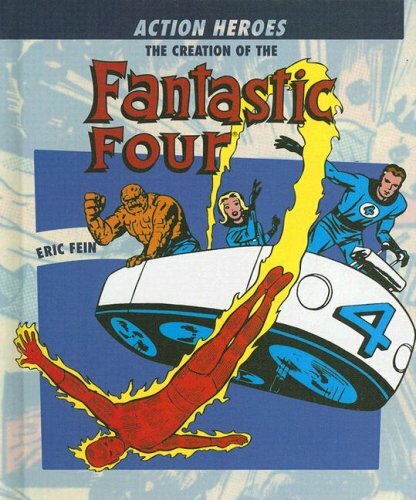 Looks at the history and creative process behind Stan Lee and Jack Kirby's team of superpowered people. 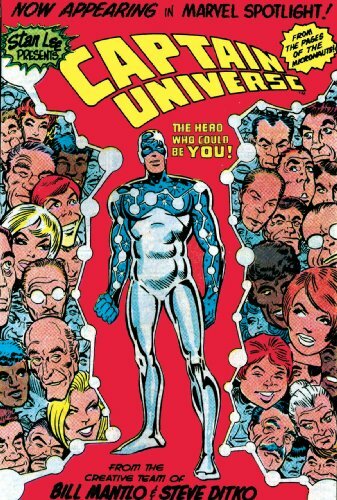 9781404207653 | Rosen Pub Group, August 31, 2006, cover price $29.25 | About this edition: Looks at the history and creative process behind Stan Lee and Jack Kirby's team of superpowered people. 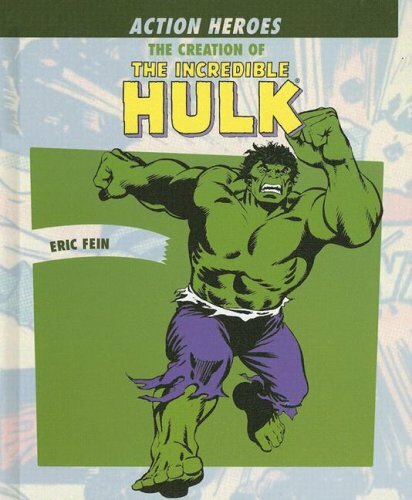 9780785118916 | Marvel Enterprises, November 16, 2005, cover price $19.99 | About this edition: He's the hero who could be you. 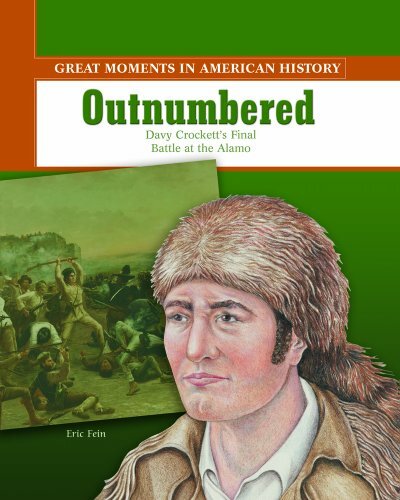 Frontiersman and former Congressman Davy Crockett arrives in San Antonio in time to share the attack on the Alamo with the Texas settlers who face a much larger Mexican army. 9780823943470 | Rosen Pub Group, August 1, 2003, cover price $24.95 | About this edition: Frontiersman and former Congressman Davy Crockett arrives in San Antonio in time to share the attack on the Alamo with the Texas settlers who face a much larger Mexican army. 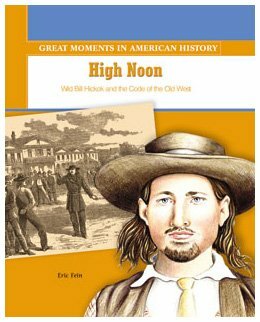 In Springfield, Missouri, in 1865, Wild Bill Hickok has a shootout with an old adversary over a question of honor. 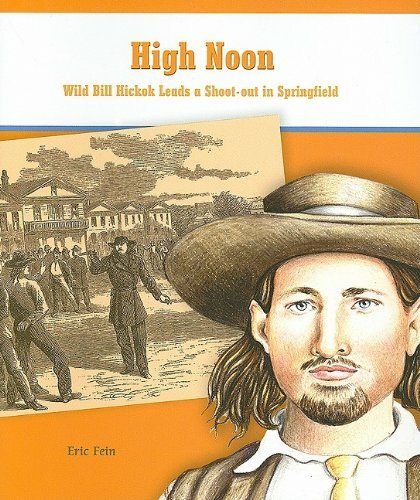 9780823943906 | Rosen Pub Group, August 1, 2003, cover price $24.95 | About this edition: In Springfield, Missouri, in 1865, Wild Bill Hickok has a shootout with an old adversary over a question of honor. 9780823943913 | Rosen Pub Group, June 30, 2003, cover price $10.00 | About this edition: The Old West vividly comes alive through the story of the infamous James Butler Wild Bill Hickok.